Wikipedia defines content curation as "the process of collecting, organizing and displaying information relevant to a particular topic or area of interest. Services of people that implement content are called curators." This web content buzz word is gaining in popularity, and for good reason! When done right, content curation gives potential customers a clear picture of who you are, the services you offer and the way your run your business. In this article, we will help you understand what content curation is, why you should be curating, how to curate, and where to share—because if you aren't curating content, you aren't winning. And everyone likes to win! You may not know it, but if you are active on Facebook, YouTube, or Pinterest then you've been curating content! Let's use Facebook as an example. I'm willing to bet that you can pick any of your active Facebook friends at random, and that his or her name alone conjures up a certain image. Perhaps your mental image is as "the cranky guy who is really into state's rights and his dog" or "the funny lady who loves astrology, crystals, and deep sea diving." This is because, over time, Facebook users share content that defines them. They are careful about what they share, as they understand that this defines them as a person. And I'm willing to bet that you're no exception. Another way to look at content curation is in the artistic sense. 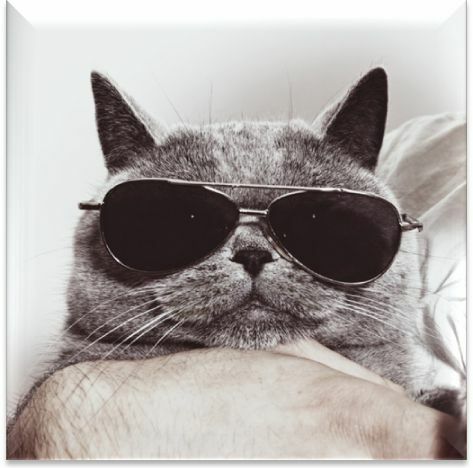 Each pictures you post, every article you share can be equated to a piece of art; yes, even that picture of a grumpy cat wearing sunglasses. When you put all of these images and shares together, what you have is a museum full of your "art work." Each piece contributes to the feel of the collection; it gives your audience—be that friends, family, or customers—a clear picture of who you are, what you believe in, and what matters most to you. This happens all thanks to your posting and sharing. You’re curating! What Do You Want Your Collection to Say About You? Before you begin collecting content from around the web and making it your own, you need to zero in on who your audience is and, more importantly, who your ideal client, customer, or patient is. For help doing so, be sure to read our comprehensive guide, Why Painting a Picture of Your "Perfect Client" is the Most Crucial Step in Your Online Marketing Plan. If you don't take the time to decide who you are speaking to, then any curating you do is sure to miss the mark, as you don't even know where your target is! Once you have your ideal in sharp focus, it's time to begin gathering content from across the web: not as easy as it sounds. The web is a vast, ever-changing sea, and without a plan, you can quickly become overwhelmed and drowning in information. But have no fear! We are here to help you navigate your way to success. Twitter. "Follow" other important people in your field, especially those who tweet on a regular basis and have a large following. Facebook. "Like" prominent colleagues, in particular those who often post and have a lot of likes. National and local news carriers. Follow them on Twitter, like them on Facebook, and subscribe to their blogs to get the hottest news stories. Many national news carriers even feature alerts—similar to Google alerts—and their own apps. Industry specific journals. Perhaps more important than local and national news sources are journals that relate to your field. Be sure to keep a close eye on these news sources. Apps. There are many breaking news apps that will give you news you can use; all delivered right to your phone. These have many features that allow you to customize exactly they types of news you get. Pocket is a favorite among our news junkies. Now that we've established what content curation is and where to find curateable content, we can move into more technical territory: exactly how and where to share your curated content. Informative article. These should recap the article (with a link to the original article) and then expand upon it. So if you are a divorce attorney, you could recap a study on divorce rates in the U.S. and then go on to talk about divorce rates in your state, thereby bringing the news home to your audience. Opinion pieces. In this type of content, you want to use the news story as a springboard for your take on the issue. You should feel free to give your views on the topic and encourage others to weigh in as well. A blog is an excellent medium for opinion pieces. Videos. If the news is very hot, and you believe it speaks to your audience, consider making a video. The video should be a lot like your opinion piece, in that it briefly describes the issue at hand and then goes on to describe why you care so deeply about the issue, or why it matters to your audience. Images. A fun, and more importantly, sharable, content curation option is an image. You know that cat in the sunglasses? You can make the most of this popular, oft-shared image by adding your own text. For a podiatrist, how about, "Grumpy Cat Iz Checking Out Ur Feet. Iz They Summer Ready?" Think outside of the box, have fun with images, and improve your brand, in one fell swoop. Blog. A blog is a great place to share your curated content. People expect excitement and opinions on a blog, so give it to them! Website. If a subject excites you and you end up creating several types of content about it, be sure to add them to your website. Google rewards high quality, shareable content, so if you add your new pieces to your site, there is every chance that they will give you an SEO boost. Social media accounts. You know that video, blog, and image you just created? Share them! This will drive people back to your website and improve your image as "the cool guy in the know." YouTube. We suggest adding every video you make to your YouTube channel. This will increase your reach and give people another way to digest the information you're providing. It's not hard for me to say, definitively, that content curation works. Why? Because at Foster Web Marketing we have been curating content for years. We know that by taking topics that most interest our audience, sharing them and making them our own, we are providing our audience with the information they need to better understand web marketing and thereby, improve their businesses. If you'd like to see exactly how FWM can help you create content that attracts, converts, and retains, call 888-886-0939 or request your free site analysis today. I Credit Our Success to These Three Marketing Concepts. Want to Know What They Are? Breaking News Videos: Are You Doing it Right?